It’s my 67th birthday today and here is a very short story of my gardening life through six decades. 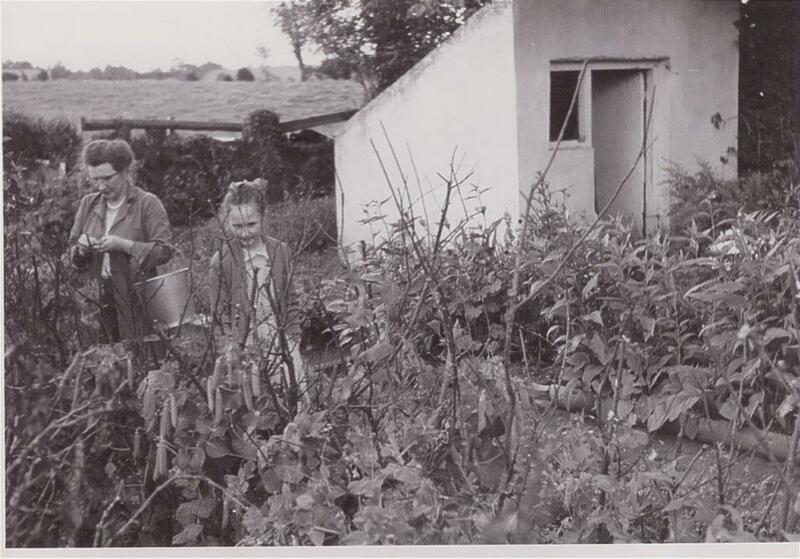 Childhood – Irish farming grandparents; rose-tinted memories of the smell of tomatoes in a greenhouse, shelling fresh peas and eating ripe strawberries. 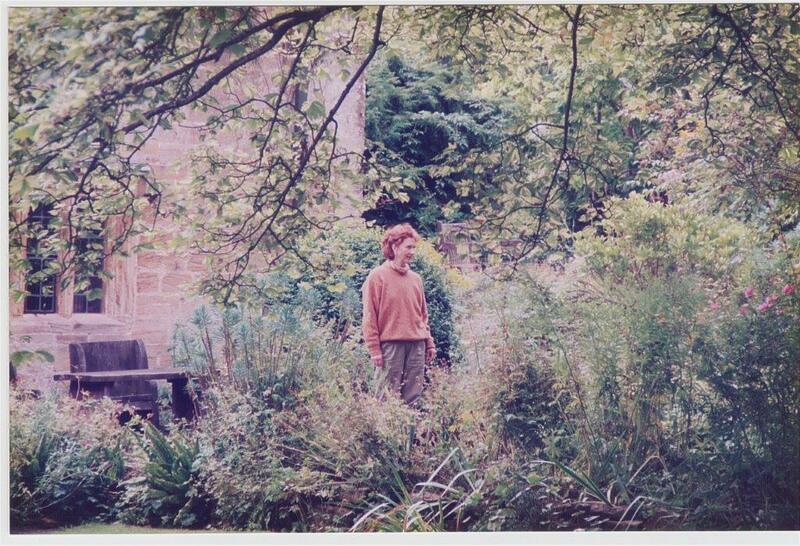 But then…..
Teenage years – Chasing schoolboys round Woolworths or sulking in my bedroom listening to pirate radio so zero interest in horticulture as I recall. It gets worse. 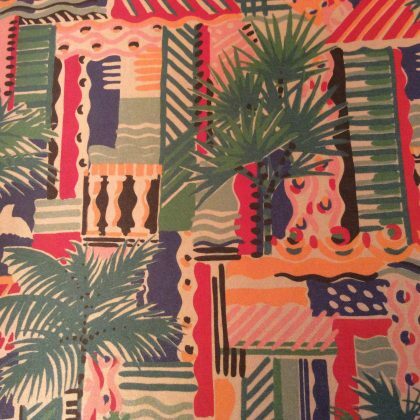 Twenties – Late night takeaways and cheap clothing so interest in horticulture definitely less than zero. 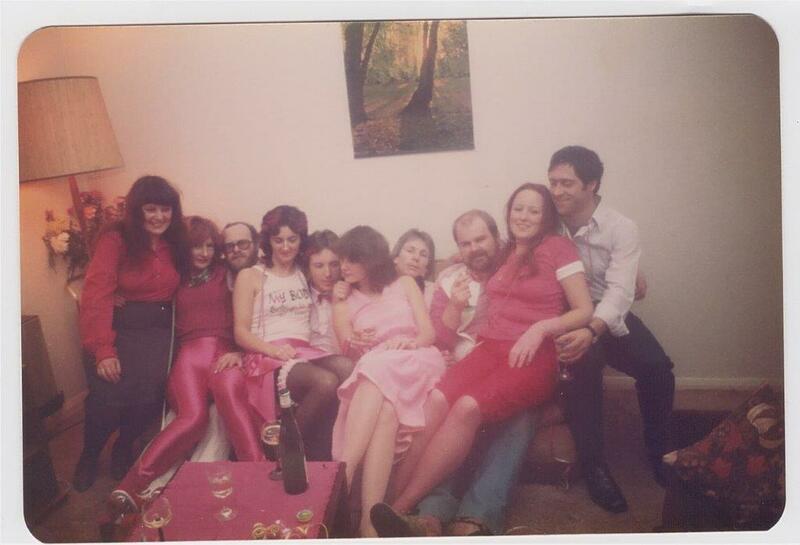 I’m in the pile on the sofa on the left wearing pink disco pants. Thirties – Married and living in a flat. Tried a window box of petunias. Rather excited when they bloomed. Can’t find any pics though. Then I visited East Lambrook Manor Gardens in Somerset and something clicked. I felt I was in Heaven. Forties – Moved to a terraced house with a garden and fell in love with Geoff Hamilton AND Dan Pearson . Both doomed to be unrequited relationships. Got the gardening bug, planted spring bulbs and began to go gardening mad. They say when a woman hits 40 it’s God or gardening. Phew. 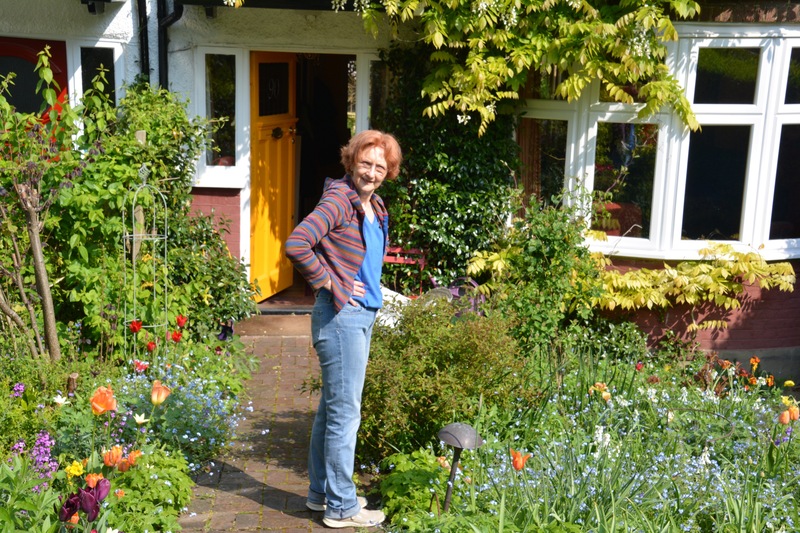 Fifties – Totally gardening mad, outdoors in every spare moment, read about gardening, watched TV gardening , visited gardens, went to Chelsea, hung around garden centres, fell in love with soil. Sixties – Monty Don this time. 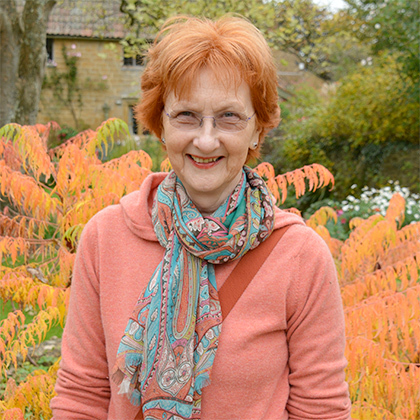 Discovered internet nurseries, started this gardening blog, enjoying wildlife and the joys of growing things, sitting in the garden with a coffee and a magazine. Have had a patch on an allotment now for 4 weeks. Dreaming of rhubarb. Looking forward to whatever the future brings…..
Lastly, I found this from 1978 and can’t think of anything sensible to say about it. Surely if not illegal then certainly foolhardy. Having recently read themiddlesizedgarden blog about gardening trousers I shall be much more sensible in future. I’ll be back to gardening tips next time. Thanks to the Propagator for hosting the theme of Sixes. 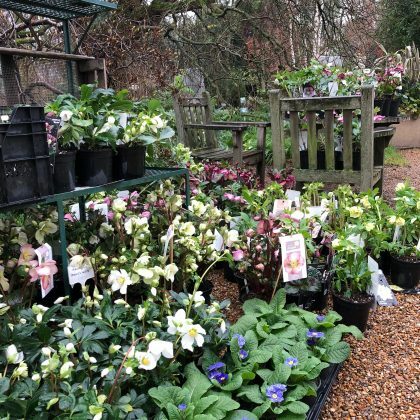 Over on his blog you can find other gardeners’ posts to inspire and encourage us all. 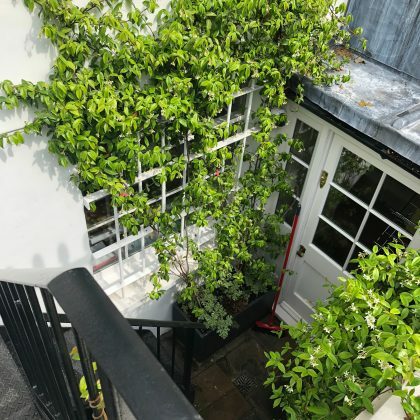 39 comments on "Sixty seven on Saturday February 2nd 2019"
I became properly interested in gardening in my 30’s when I moved to London and all I had was a small balcony and a sudden desire to grow things! Thankyou Ian. Yes I got great inspiration from that windowsill in the flat with the petunias. I’d never bothered before and I got the bug to grow things. So glad I did. Hope your balcony is bringing you lots of joy. Happy birthday Julie! Thank you for sharing your photos. Your face has not changed since the first picture in B&W … I can recognize you ..
Oh Fred what a lovely thing to say. That’s so nice! Thanks for all your support with my blog and I hope I give the same to you on Saturdays. Best wishes. Loved that Julie! Happy birthday- have a wonderful day. Hi Brenda, how lovely to hear from you and lovely to hear you’re reading my blog things. Love to you both. 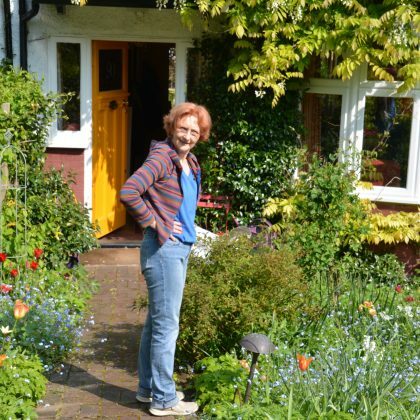 I loved this blog and we share gardening heroes, my others are Rosemary Verey and Carol Klein, both of whom I was lucky to meet, and Christopher Lloyd. Their writings keep me going through winter months. Wow lucky you meeting those people. I met John Brookes in his garden a few year ago and was so nervous and excited I could hardly get any words out. Gardeners are just great human being aren’t they. thankyou. Glad I dug it over and covered it with membrane a few weeks ago. Reading about what to plant but bit short of ideas as the moment. Thanks for your encouragement. Both Sue and I were ’52 babies but you’ll not be getting a confessional from me on my birthday. We both made the (right) choice between god and gardening a little earlier in life but that did make me laugh. I’m just off to burn some photos. Have a very happy birthday. Ah so we’re the same age. Isn’t it great to be better at something than teenagers are. They swank about with the phones but we know how to grow things. Hurrah for us. Keep those photos!!!!!! Oh Hi Trev!!!! Yes who on earth were all those people. Some I don’t recognise at all. Lovely to hear from you – I’ve had a lovely day. Going to India in two weeks time Eeeeeeek. 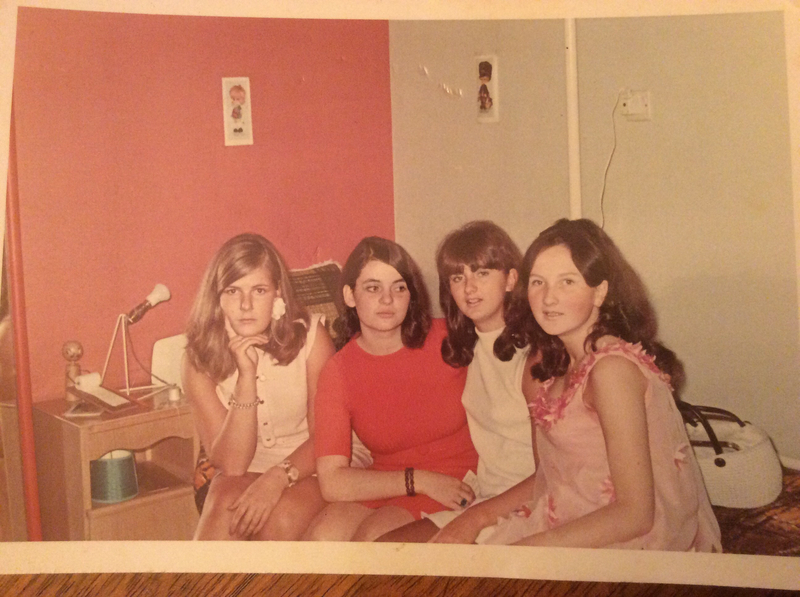 I am very close to your age too and can identify with a lot of those photos. And who isn’t in love with Monty Don, even here in the USA. Well, for those of us who know who he is. We’re not as much a gardening country as you are, which is very sad. Happy Birthday. Make it a good one and garden on!!! thank you so much Cindy for replying and glad we can share the love of Monty. And Nigel and Nellie of course. Better late than never . Making up for lost time. Never ever too late to garden I believe – as long as we can bend and kneel and twist. The best exercise isn’t it. What a brilliant post! Thank you for brightening a cold and windy day. Thankyou Kate for saying so. It has been my most successful post so far which is a lovely birthday present for me. Happy birthday! Good job you are not wearing that bikini in the garden today, you would certain tain ly die of exposure in minutes! Oh goodness June, haven’t worn a bikini for 20 years or more. Perish the thought! It’s padded gardening trousers and a fleece nowadays! Oh thanks and the best news to hear it made you smile. That’s the point isn’t it. Happy birthday! How wonderful to have all those photos. I’m 6 months older than you and recognise your timeline. 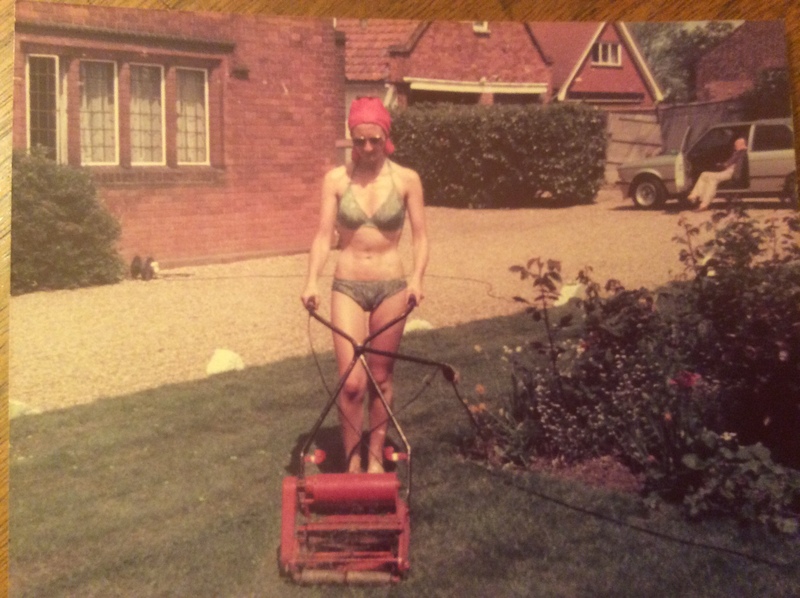 Words fail me for a caption to your lawn mowing/bikini photo 🤣🤣. 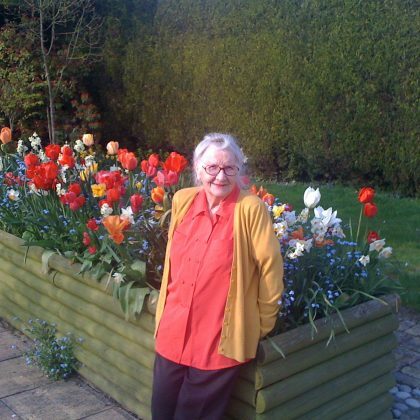 I used to garden with my mum and took it up again when I was married with my own garden in 1975. Eldest daughter is a very keen gardener, daughter no. 2 less so, but there are glimpses of interest appearing, meanwhile I continue to be her unpaid gardener! Lovely to hear this Ronnie and always nice to hear from you. Happy Birthday, I hope you have a lovely day despite the cold weather. It was my 66th also ,only five days ago. Thank you for sharing your memories, I remember those times really well,and like you, often wished I had got the gardening bug earlier. Still, as they say, it’s never to late too learn! Never too late. Maybe gardening is best suited when we have more sense! Happy birthday Julie! I love your comment about God or gardening. 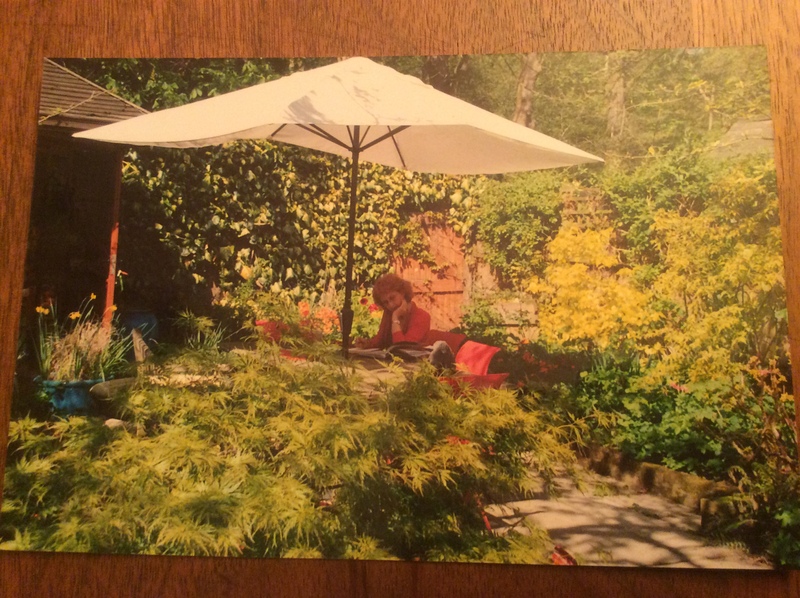 I must tell my friend that as she has just hit 50, and has fallen madly, passionately for her new garden! I live in Victoria Australia, but I love hearing about your gardening adventures. You’d look perfectly normal in your bikini over here. 39 degrees today…. Happy Birthday! You have such a beautiful garden. Such a fun post, full of laughs. I think you’re looking just as sharp on your 67th as you did in that bikini! Perhaps you have found the fountain of youth?? Gardening?? Happiest of Birthdays. I love your gardening style, and now I see that I love your style generally! Your pink satin shiny trousers are fabulous! 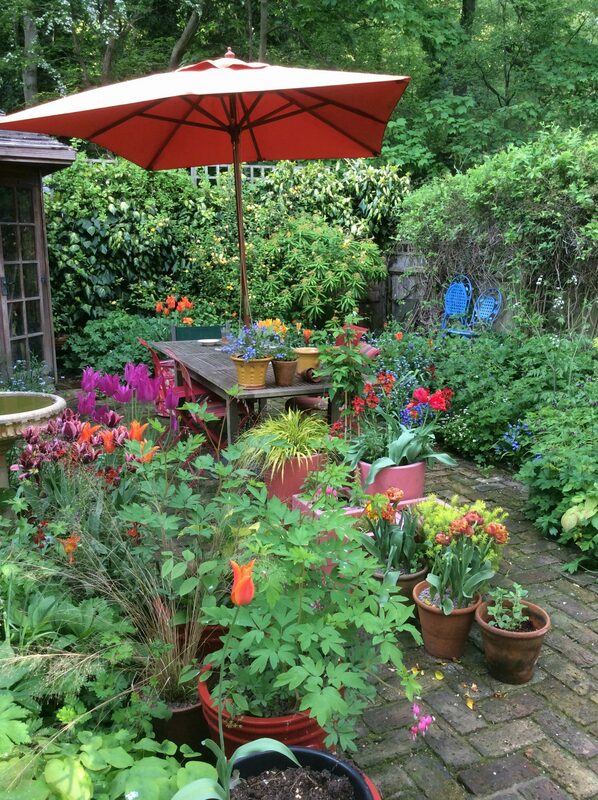 It has struck me before when I have seen photos of your garden, and it is confirmed in these pictures that we share a gardening aesthetic. I LOVE your use of colour!!! Oh Ali how lovely of you to say so. Tell me more about YOUR use of colour. Everything in my life is full of colour. My house, garden, clothes, everything. I sit on the Tube and usually I am the only person not wearing black. It’s so dreary! Thanks for your lovely encouragement. Hope you had a fab birthday Julie. I am a little bit younger than you, but I recognise that timeline! What a wonderful way to record your gardening life! And the photo of you in the bikini – priceless! You were probably barefoot too 🙂 Love your colourful garden, it is so crammed with flowers just what I go for and I wish you every success with the allotment. Happy belated birthday! Looking forward to reading more gardening adventures 🙂 The bikini lawnmower is TOTALLY cool! Thanks! A very long time ago!